Have you been in search of a company that can carry out Floor Delamination Repairs in the area? Then you have come to the right place. Covering and surrounding areas, you can count on us to provide you with a friendly, reliable and cost-effective service. Whether your caravan has broken down at your home, or in a caravan park, our mobile service means we come directly to you. So if you are looking for Floor Delamination Repairs experts that guarantee a complete service, you can be safe in the knowledge that we will find your caravans faults in a quick and skilled manner, getting you back on the road in no time. 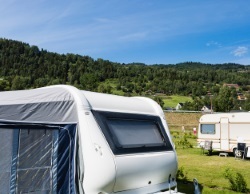 PGF Caravan Services has a brilliant track record of getting caravans back on the road in a speedy and efficient way, that will not break the bank, or hurt your wallet. Call PGF Caravan Services, and see how we can help you with Floor Delamination Repairs in and the surrounding locations.